Luvander is a penniless girl, but like most of us, she has grand dreams of "making it"... though in this case, she wants to travel into ancient, dangerous places and grab any gold lying around for herself. As you may have guessed, this was not going to be an easy venture. With three companions harbouring different dreams and intentions, Luvander and her friends meet with deadly situations that will test their motives as well as mettle. Though this story is targeted at pre-teens and teenagers, adults who love adventures in stories would have a blast reading this. 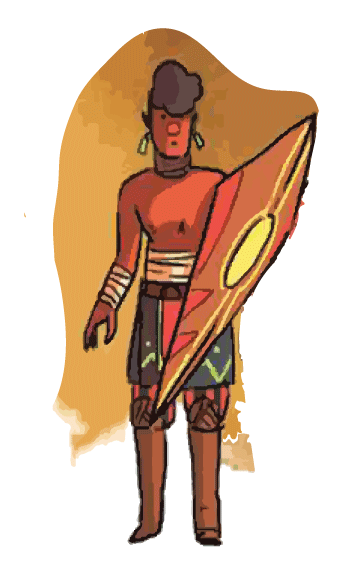 Prince Akisbjorne of the Scarlet Sands Empire is one of Luvander's companions. The Prince is on a kind of coming-of-age pilgrimage, where his parents send him out to experience the world and do great deeds so he can return with more experience and knowledge of how the world works as well as how to accomplish things. Akisbjorne is an idealistic character and he follows anyone with such tendencies. The Prince seems to want to have a good time as well as do the impossible, and no challenge is too dangerous to discourage him from pursuing his ideals. 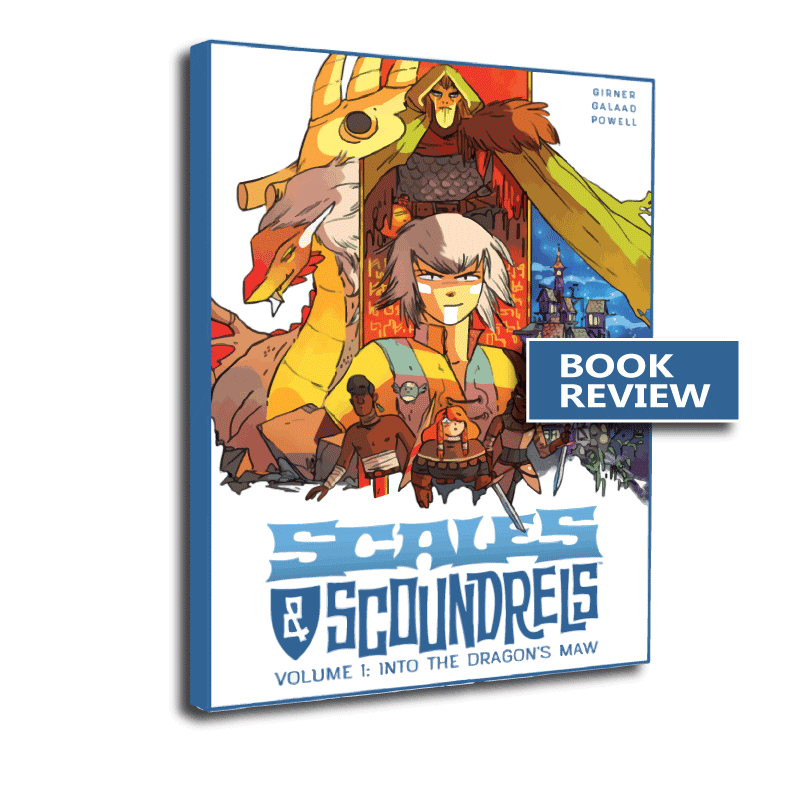 Scales and Scoundrels: Volume 1 by Sebastian Girner and Galaad is available to buy on all major online bookstores. Many thanks to Image Comics for review copy.